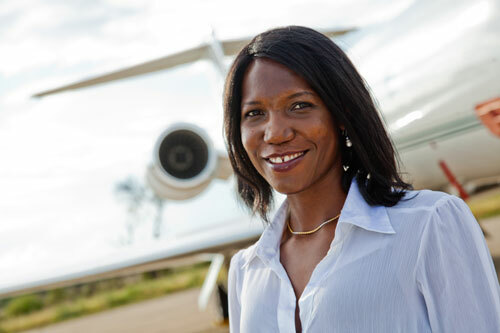 African Women In Aviation – Success in aviation, or anywhere else, is never a matter of luck. It only comes as a result of dedicated hard work. But for women, the rise to aviation success can be a little harder than the rest of mankind`s as oftentimes they have to fight a lot of stereotyping in this male-dominated field. Today let us read this story of how one woman from an impoverished part of Tanzania conquered her many obstacles and grew to become a certified Commercial Pilot and an Aircraft Maintenance Engineer, becoming the first Tanzanian woman with both qualifications. Today as the Executive Director of her own successful aviation company, Susan Mashibe tells of her struggles and her hopes for the future. “My passion for aviation started at a small airport in Kigoma, Tanzania by the shores of Lake Tanganyika where I was born and raised. When I was four years old, my parents and my younger siblings flew to Dar es Salaam, leaving me behind to stay with my grandmother. As the plane carrying my family took off, I did not cry. Rather, I wished I could fly the aircraft myself so that my parents would not leave me behind ever again. Today I am living my dream, but it has been a long journey to this point. My sister was attending university in the United States so, once I finished school in Tanzania, I travelled to Michigan to train as a pilot, taking my first flight lesson at age 19. At first, my lack of English language skills meant that I could not communicate with the control tower, so I was unable to make solo flights. My instructor suggested I improve my verbal English and then try again. Then, while I was studying English, I enrolled at a college aircraft maintenance program to learn about aircraft systems. When I was done, I had completed all the requirements to be certified as an airframe and power plant technician by the US Federal Aviation Administration (FAA ). That is how, without planning for it, I became an aircraft maintenance engineer, which allowed me to work while I completed my flying education. To maintain a student visa, I had to add more credits, so I then enrolled in an Aviation Management Degree program. I was aspiring to become a professional pilot for a major US carrier, but I completed my commercial pilot training around 11 September 2001. 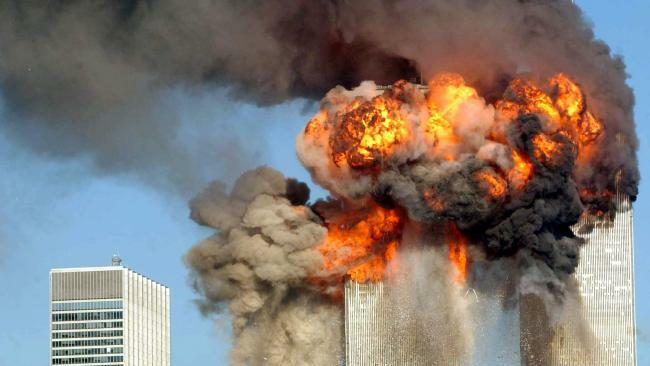 The awful terrorist attacks that occurred that day shook the aviation industry, and the job market for pilots was in crisis. Today, Susan`s company, VIA Aviation is based at the Dar es Salaam International Airport and now has a revenue of over $ 2 million. She has plans to expand the business to more than 20 countries throughout Africa. Since 2002, VIA Aviation, formerly Tanzanite Jet Centre, has been providing fixed base operation services like refuelling, catering, cleaning and logistics, in Tanzania. VIA was the first company to offer such services in Tanzania and East Africa as a whole. VIA Aviation provides vital services that help other businesses across the continent grow. As many economies in Africa experience rapid growth, lack of good quality road and rail infrastructure has become a real problem. It is all but impossible to travel by road between many major cities – including some in the same country! Despite this, just 20 % of air traffic on the continent is African. That means travellers often have to go to Europe or the Middle East for a connecting flight to another African country. This is an expensive waste of time and, as the African economy matures, it is not acceptable to business leaders; more and more of them are chartering private planes. That is where Susan`s business comes in – by providing professional, high-quality services to private aircraft. VIA Aviation fills a growing need in the market. 1 . How are your language skills? Do you need to learn a new language or brush up on a language that you already know to enhance your career in aviation? 2 . Aviation is not just about becoming a Flight Attendant or Pilot. You can create aviation businesses which could be helpful to our continent. Have you identified gaps in the market, which could be filled using your skills and experience? What Are The Roles of A Flight Attendant?